Colby-Sawyer’s first cohort of BOLD scholars are all members of the Class of 2020 from rural locations in northern New England. In 2018, Colby-Sawyer was selected to join the BOLD Women’s Leadership Network, a highly selective national program of female scholars, and was awarded a three-year, $1.1 million grant for scholarships and transformational campus projects. 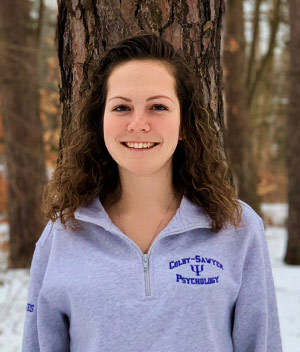 Colby-Sawyer’s initial cohort of BOLD scholars are seven juniors who are female or identify as female, as stipulated by the program, and are first-generation students from rural locations in northern New England who are in good standing at the college. Colby-Sawyer joins Middlebury College, Ithaca College, Rutgers University-Newark, the College of Saint Rose and the University of Connecticut as just the sixth active higher education member in the network. Each institution is led by a female president who has shown a longtime commitment to diversity and inclusion. Funded and supported by The Pussycat Foundation, the BOLD Network was established in the spirit and legacy of Helen Gurley Brown, legendary editor-in-chief of Cosmopolitan magazine. A trailblazer, Helen was unapologetically herself and believed that every girl and woman should have the space to do the same while pursuing an education, building a career and achieving her life's ambitions.